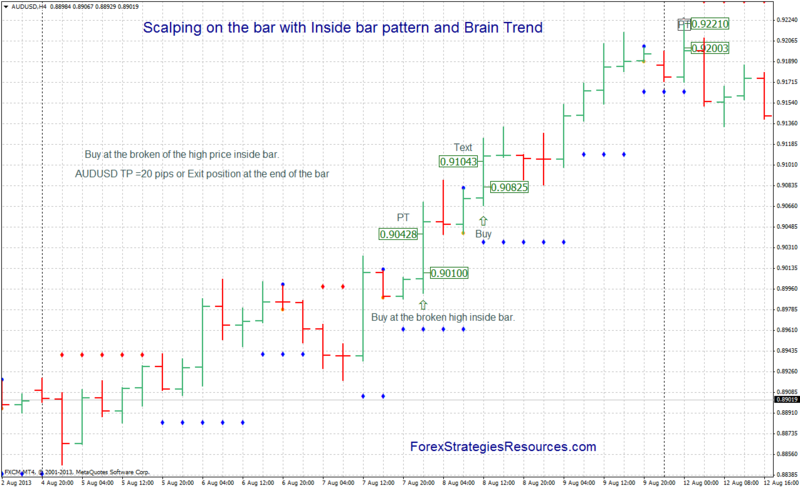 Price Action Trading System with Inside Bar Indicator and Brain Trend. 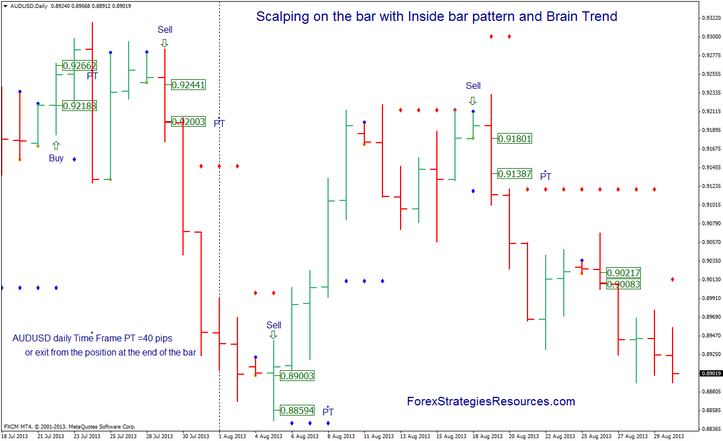 This is aprice action Scalping System on the bar based on Inside Bar indicator and Brian Trend indicator. Time Frame H1 or higher Best Time Frame 4H or daily. Inside Bar MT4 (period : Setting Time Frame: 60, 240 or 1440). Place buy a pending order at the broken of the high price inside bar. Place Sell a pending order at the broken of the high price inside bar. Daily Time Frame profit 40-60 pips or exit from the position at the end of the bar. In the pictures belowScalping on the bar with Inside bar pattern and Brain Trendin action. Scalping on the bar with Inside bar pattern and Brain Trend in action: Templates and Indicators.